School holidays are finally here and it’s time to encourage kids to get active outdoors. 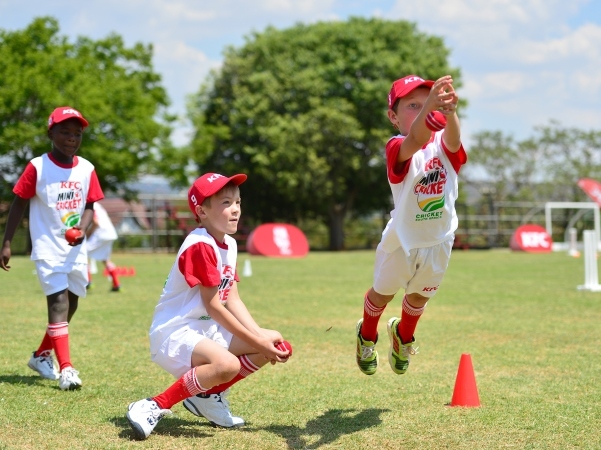 The KFC Mini-Cricket programme is back in full swing – so even though schools are closed kids can still get involved in their favourite sport! Zacharias Crow during the KFC Mini-Cricket coaching session at Laerskool Louw Geldenhuys. 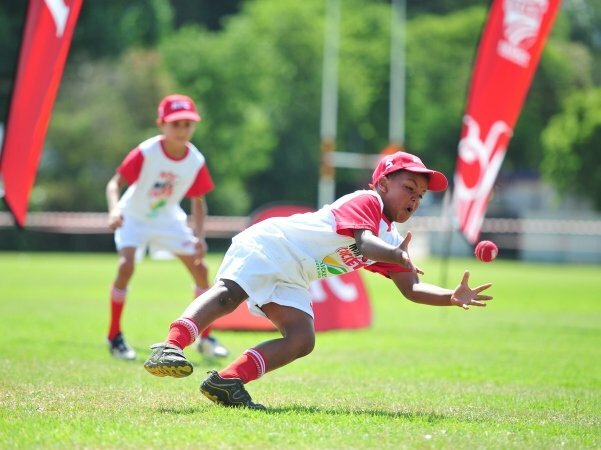 KFC is giving kids across the country the opportunity to meet their cricketing heroes in the highly anticipated second instalment of the KFC Mini-Cricket Kids vs Proteas Tour. 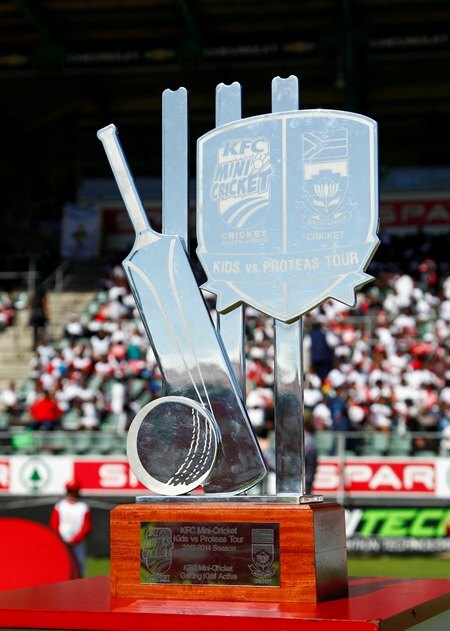 KFC trophy during the KFC Mini-Cricket Kids vs Proteas at Axxess St Georges Park on March 10, 2014 in Port Elizabeth, South Africa. It will also be where three lucky winning school teams will live their dreams as they take to the field to face off against the mighty Proteas in a live curtain raiser at the KFC T20 International Series games against the West Indies in January in Johannesburg, Durban and Cape Town. Team during a coaching session at Laerskool Louw Geldenhuys in Linden, Johannesburg. The winning school teams are Laerskool Louw Geldenhuys from Johannesburg, Durban’s Eden College and St Andrew’s Primary School from Cape Town. The Proteas won the last KFC Mini-Cricket Kids vs Proteas Tour by one game and this year KFC wanted to ensure the kids come back stronger than ever, so they organised a number of intensive coaching sessions and warm-up games for the kids to experience cricket action on a bigger stage. 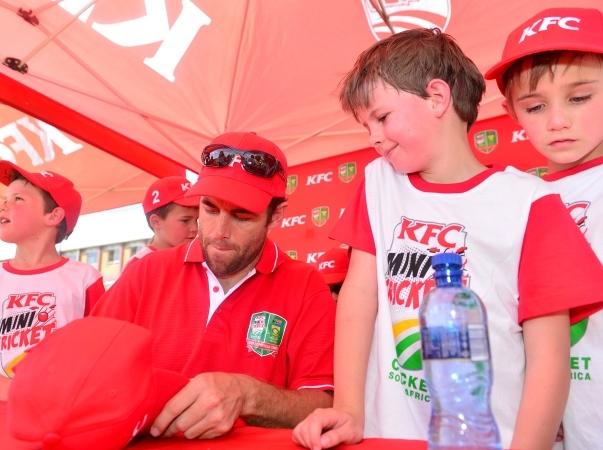 Neil McKenzie signing autographs during the KFC Mini Cricket coaching session at Laerskool Louw Geldenhuys. 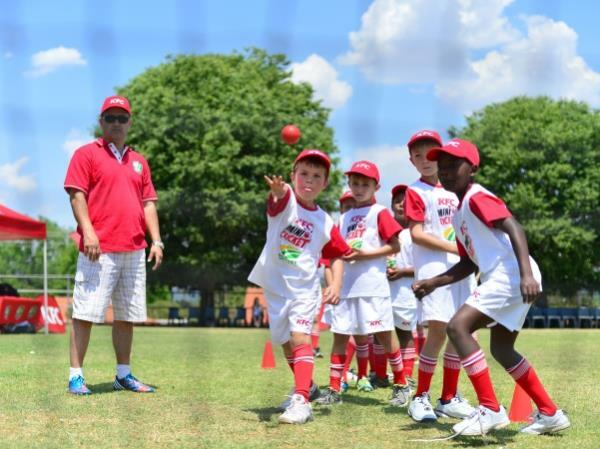 The intensive coaching sessions were led by legendary former Proteas players who acted as assistant coaches to help the KFC Mini-Cricket teams prepare for the biggest game of their lives. Laerskool Louw Geldenhuys from Linden, Johannesburg, along with their team coach, Eldre Benadie, worked with Neil McKenzie to polish their batting skills. Mfuneko Ngam shared his fast bowling techniques and skills with the young cricketers from Eden College and St Andrews Primary got input from former Proteas captain Graeme Smith. 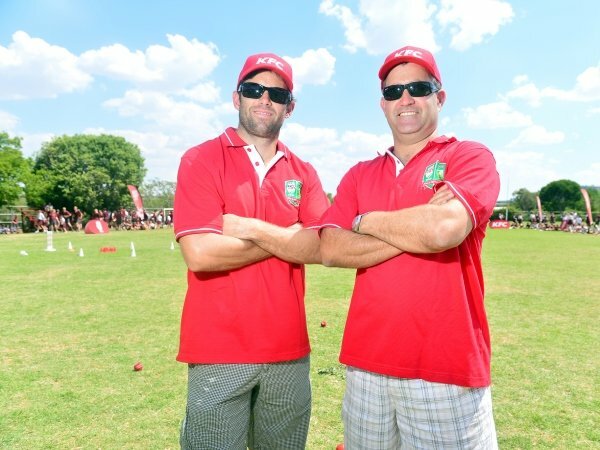 • Neil McKenzie and coach JP Potgieter during the KFC Mini-Cricket coaching session at Laerskool Louw Geldenhuys on 30 October 2014 in Johannesburg. 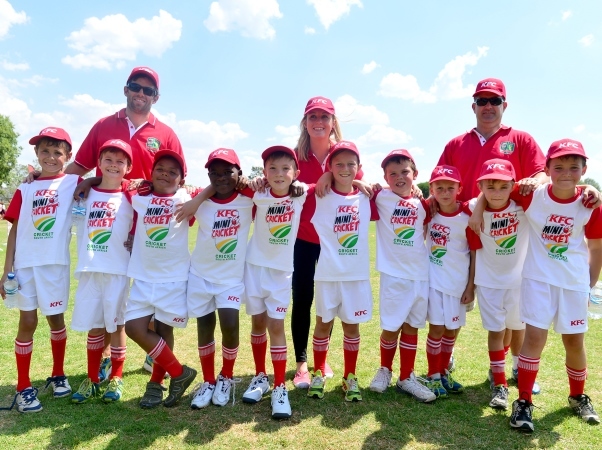 KFC Mini-Cricket is the most important programme in Cricket South Africa’s (CSA) development structures.